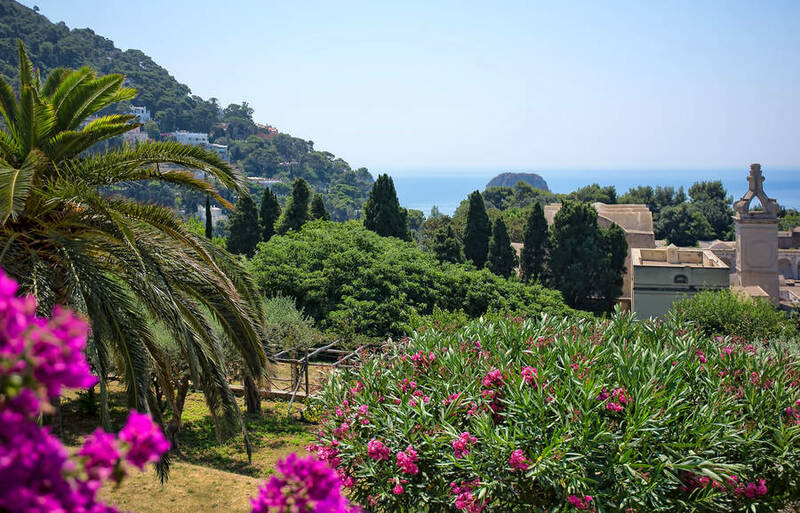 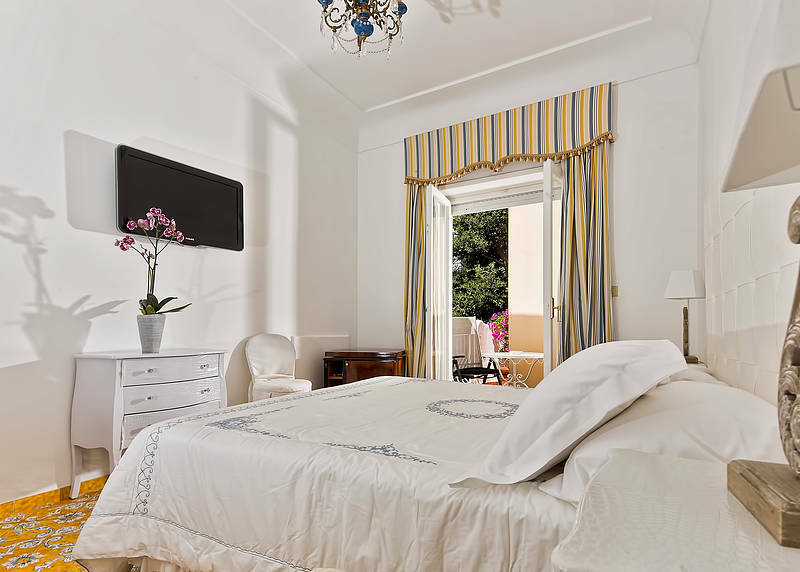 Hotel Sina Flora Capri: 3 reasons to book here | Capri Booking. Flora rooms are furnished in a classic and elegant style with hand-painted colored tiles in contrast with the white walls. 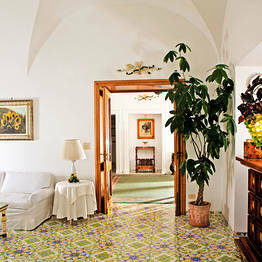 Each room is distinguished from one another thanks to the bespoke furnishing and for the quietness that surrounds them. 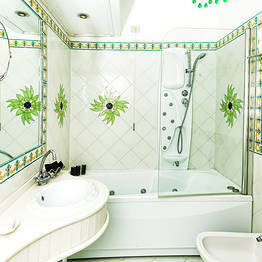 The bathrooms are all equipped with a separate bathtub or shower. 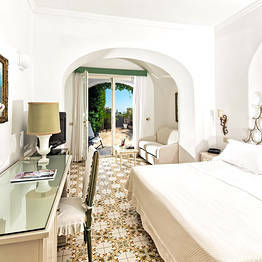 The bright and Mediterranean-furnished rooms feature a private terrace surrounded by nature facing the Hotel's garden. 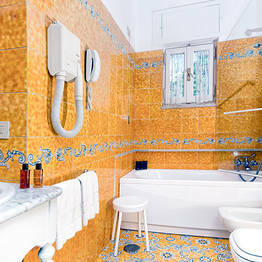 The large bathrooms have separate bathtub and shower. 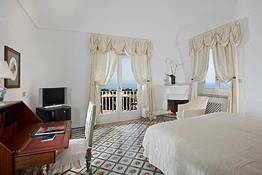 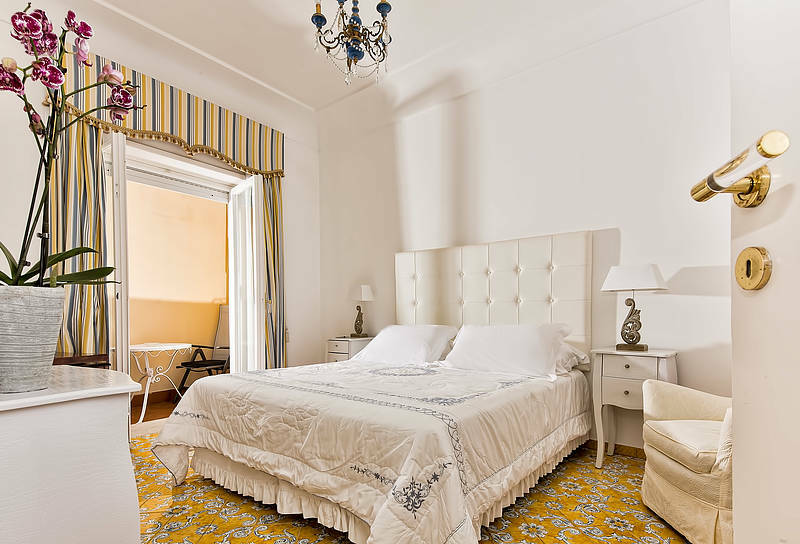 Spacious rooms with antique and classic furniture, provided with a terrace surrounded by nature where to enjoy Capri air and sun. 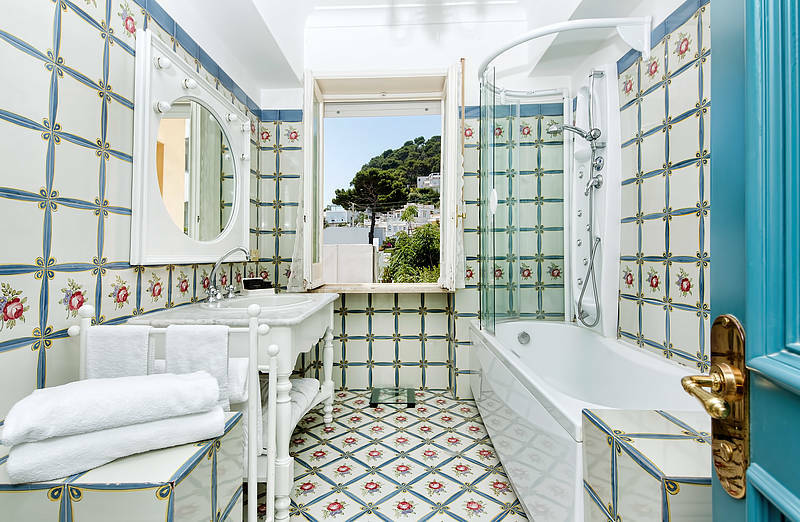 The large bathrooms, with separate bath and shower, are entirely covered with hand-painted coloured​ majolica tiles. 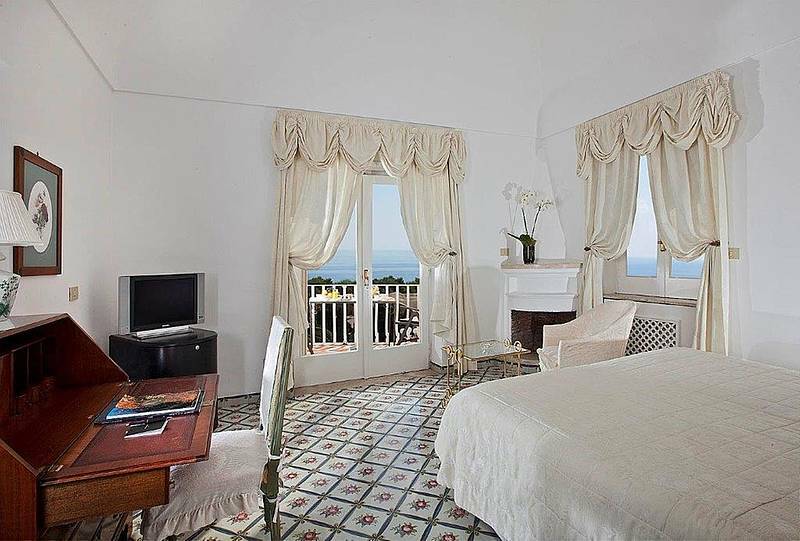 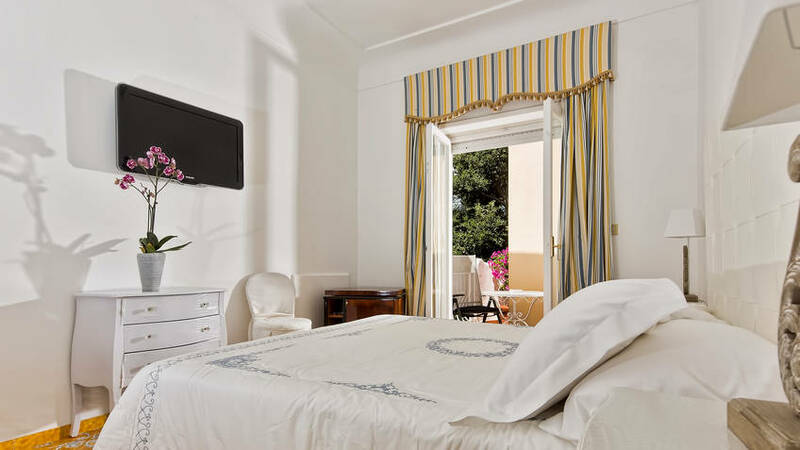 The elegant rooms in true Capri style, have a balcony overlooking the sea from which to admire one of the most beautiful natural landscapes in Italy. 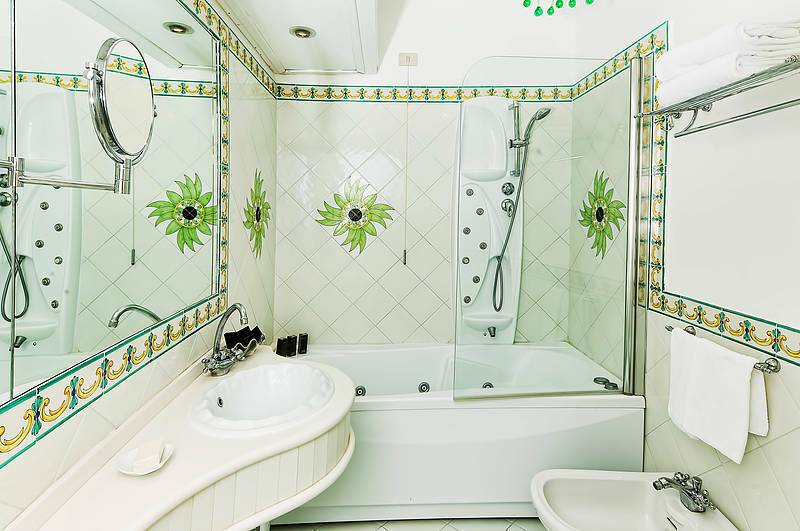 The double bathrooms have a separate shower and bathtub. 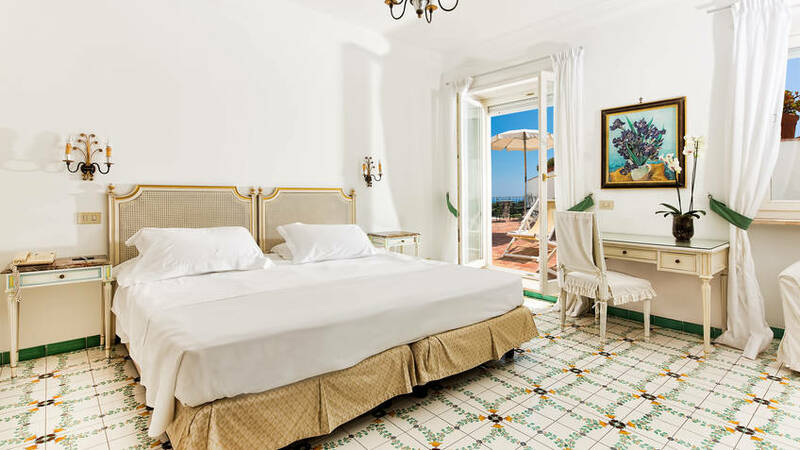 Sophisticated and with an aristocratic touch, the most beautiful rooms of the Sina Flora feature a private terrace with an enchanting view of the sea. 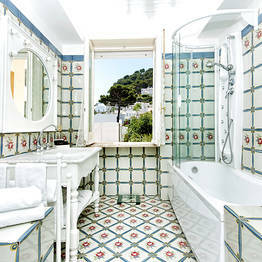 The bathrooms have a whirlpool bathtub and walls covered with hand-painted majolica tiles. 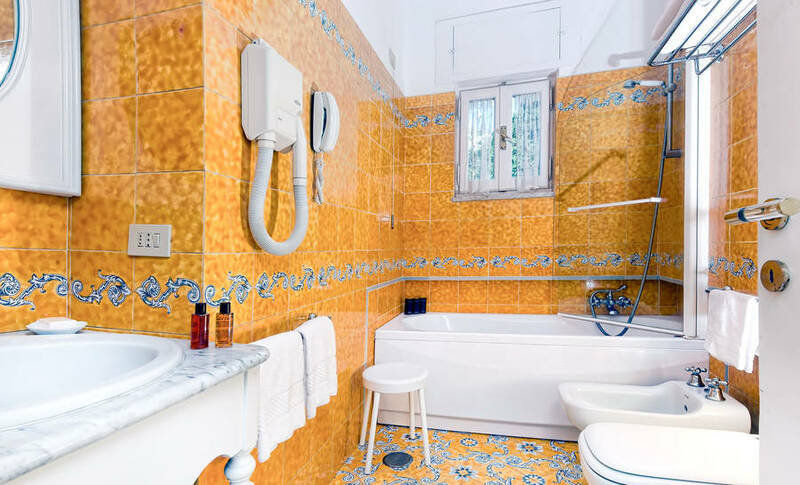 The large bathrooms have bathtub or shower. 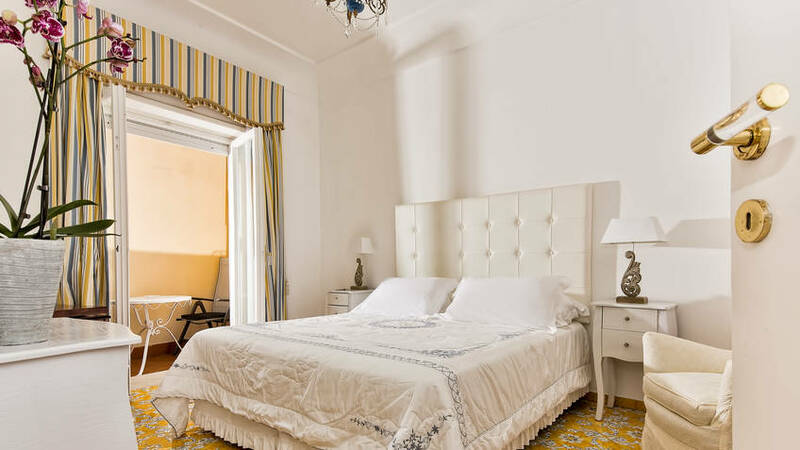 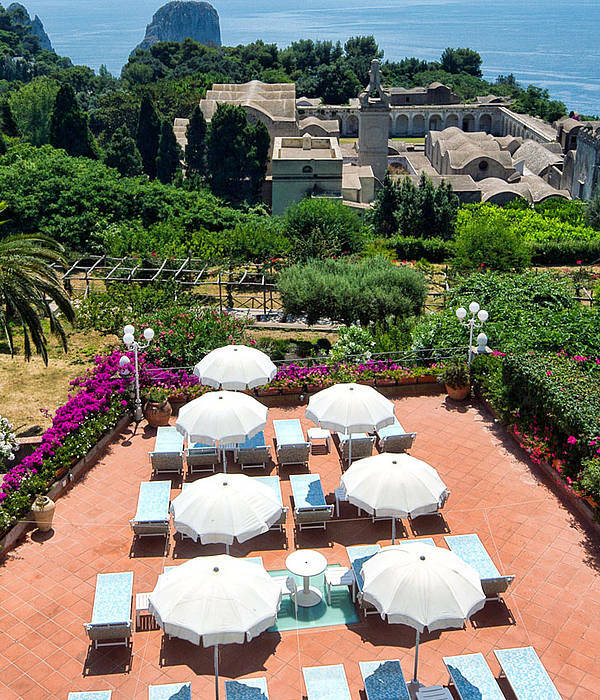 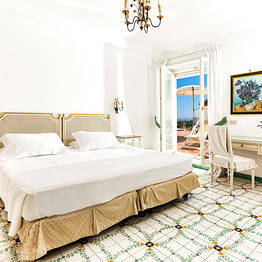 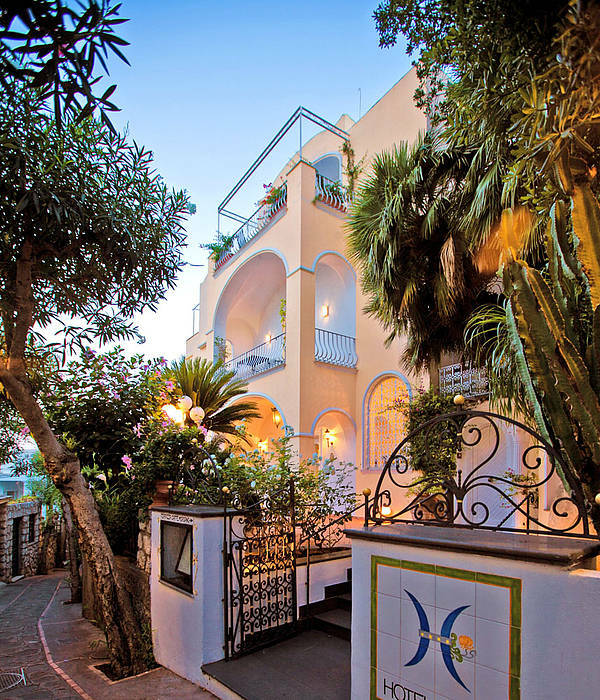 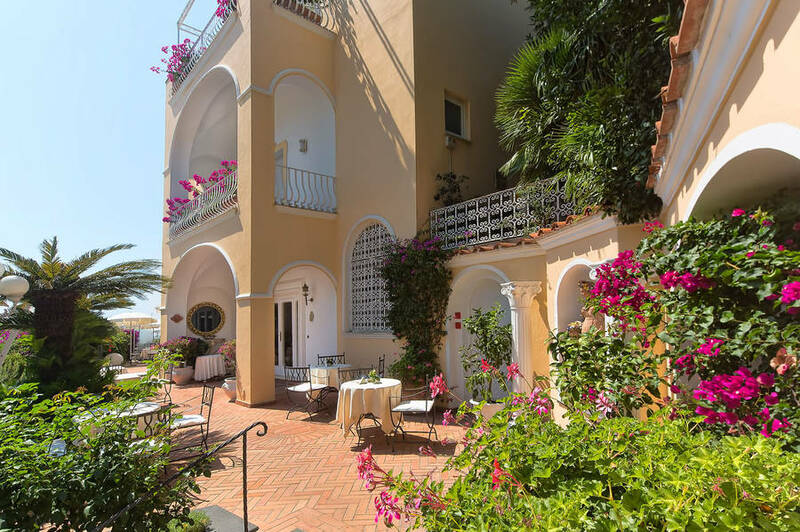 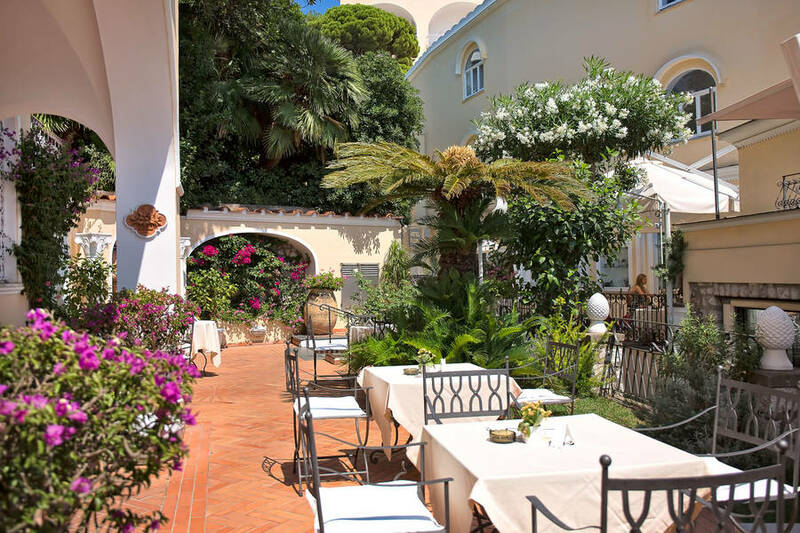 A gorgeous island boutique hotel, the four star Hotel Sina Flora enjoys an enviable location right in the heart of Capri, just moments away from the famous Piazzetta, the island's designer shops, and the Charterhouse of San Giacomo. 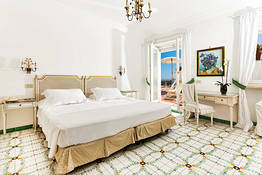 The hotel has a total of 24 bedrooms and suites, all stylishly furnished in typical Mediterranean style and equipped with an excellent range of facilities. 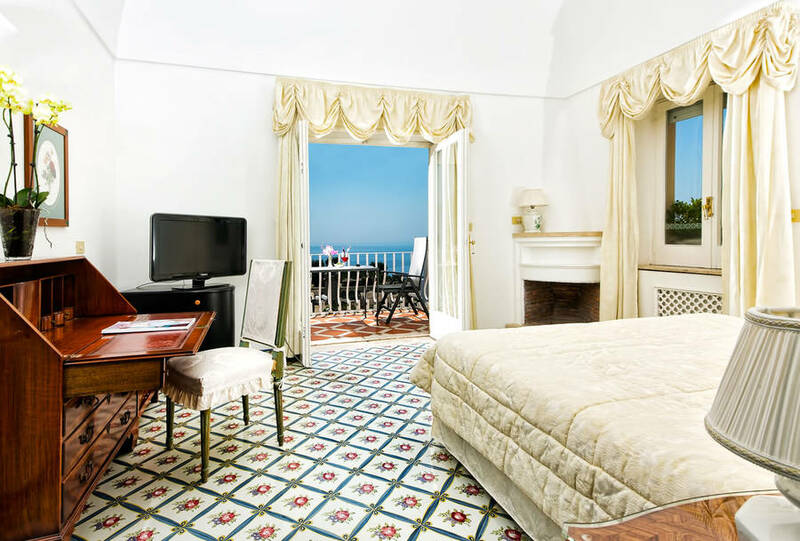 Although almost all rooms have a balcony or terrace, if you're looking for something really special, treat yourself to a night to remember in a sea view Junior Suite! 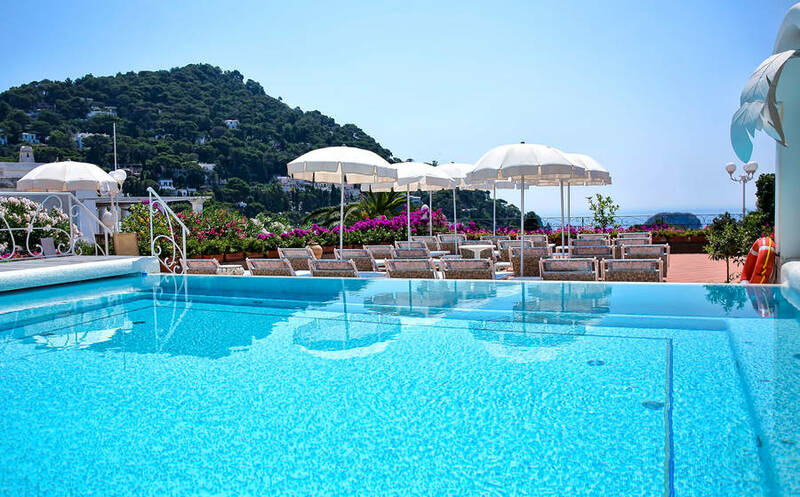 With its splendid swimming pool, jacuzzi and solarium, the hotel's terrace is the perfect place in which to relax in the Mediterranean sun whilst admiring a breathtaking view of the sea and the Faraglioni. Meticulous service and an infinite number of special personal touches, mean that from the moment they arrive, guests staying at Hotel Sina Flora are made feel as if in their very own island home. 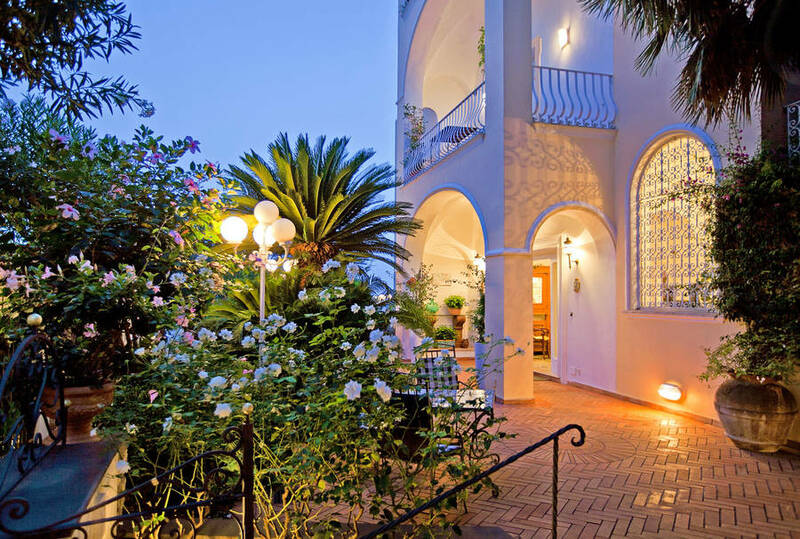 "The entire staff is absolutely phenomenal, Antonio and Romina are as good as it gets. 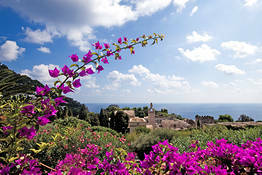 I look forward to coming back again, and soon." 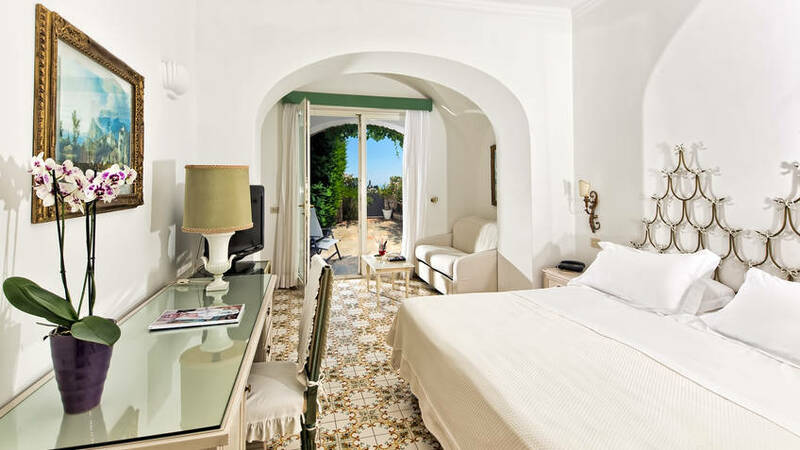 "This hotel won hands down on warmth, service, professionalism, and helpfulness of all staff. " 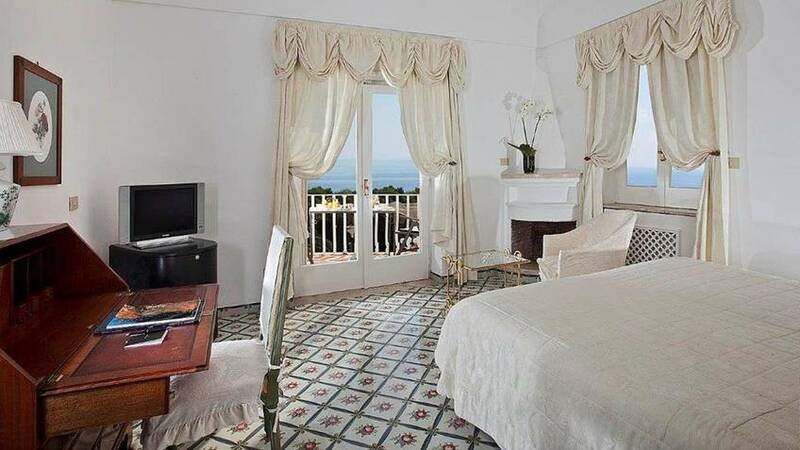 "One of those hotels where you can simply sit outside on the terrace of your bedroom and admire the sea. " 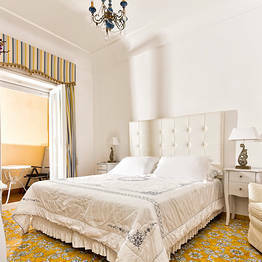 "A small but extremely welcoming hotel with bedrooms in which attention to detail is paramount." 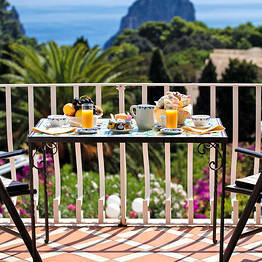 "The breakfast served amidst the flowers on the sea view terrace is delicious. " 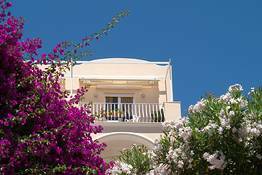 "we had a lovely time"
"Though we were the last seasonal reservation, all services were available. 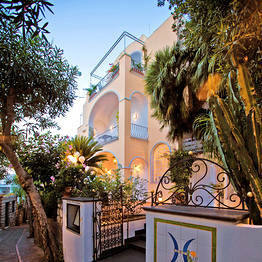 The staff was excellent. 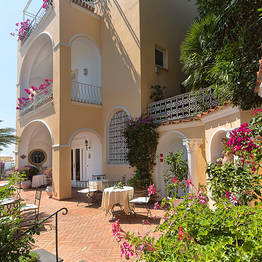 I'd forgotten a jacket at our Positano hotel; they made transfer arrangements to receive before dep." 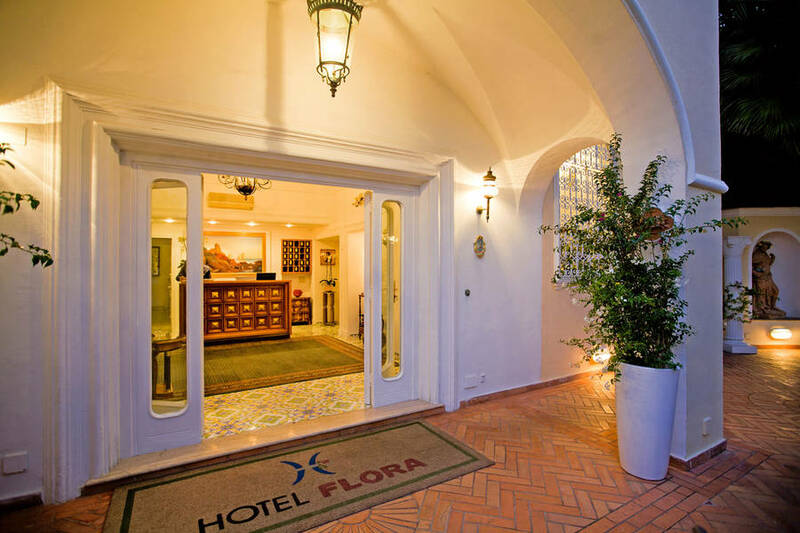 "This is our second time staying at Hotel Flora. 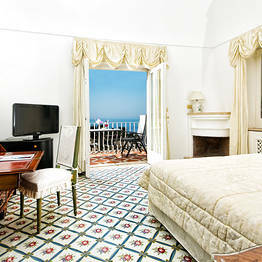 Rooms were clean,spacious. 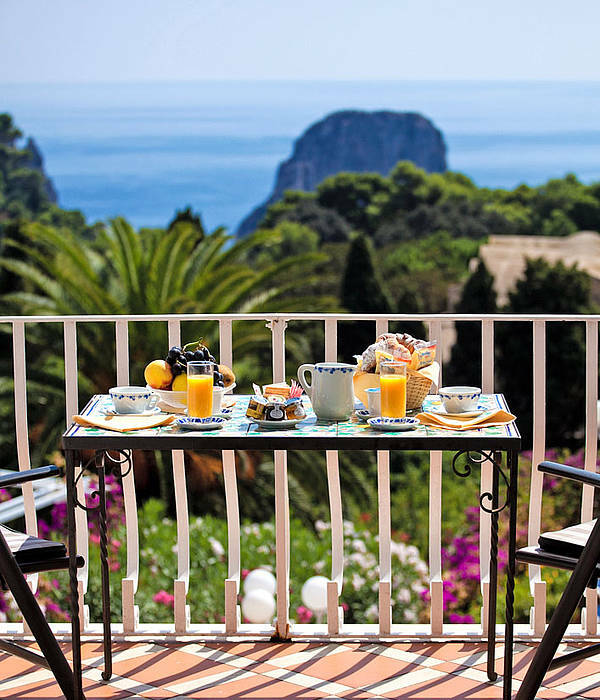 Views were ok,but each room had a nice patio.Bruno was fantastic at breakfast and for drinks.Thanks Antonio, we will be back." 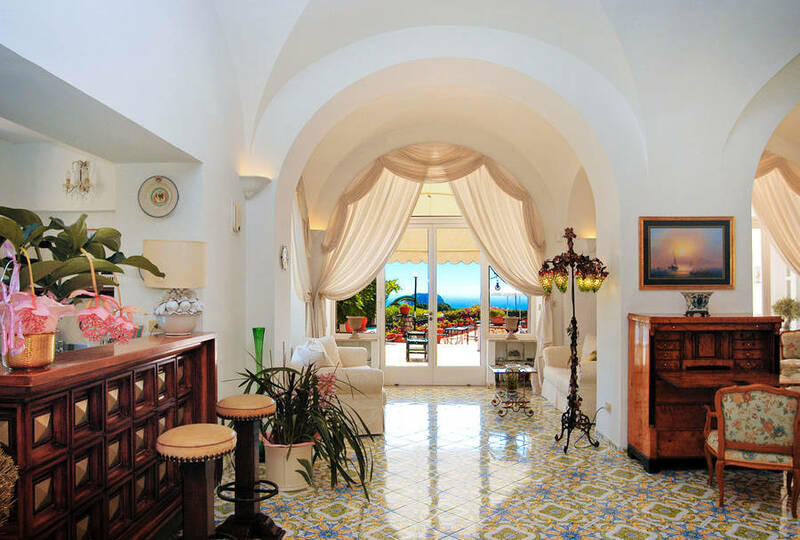 "Perfect! 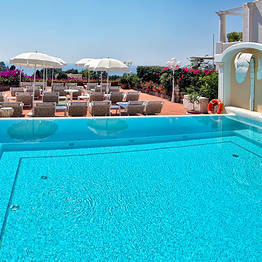 Excellent staff, outstanding breakfast, best location and views and is part of Quisisana, so you may use their pool. " "Good hotel for off-season in particular. 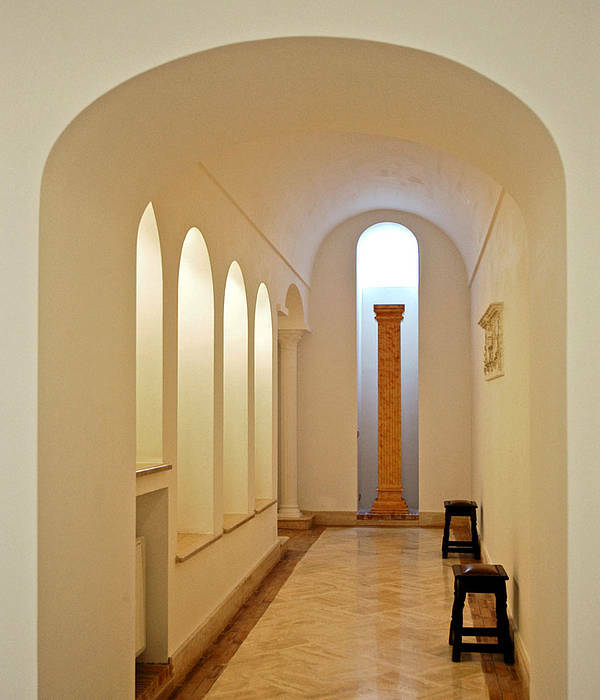 Centrally located. 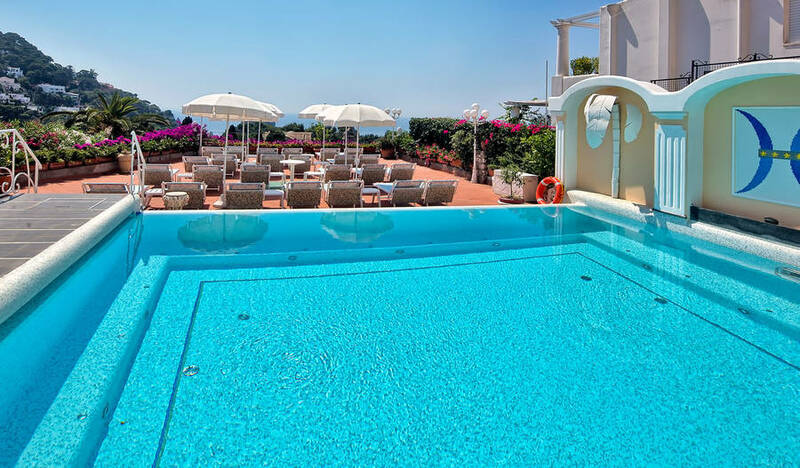 Clean facilities, great view. Not a 5-star. 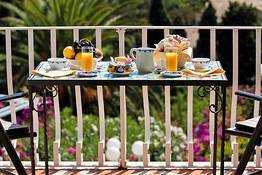 Service was spotty, but not bad. " 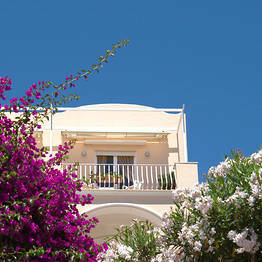 "Flora hotel is extremely well located. 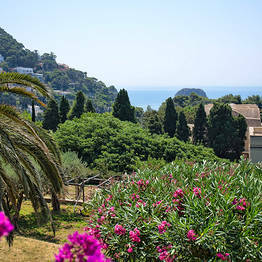 The people are very welcoming. 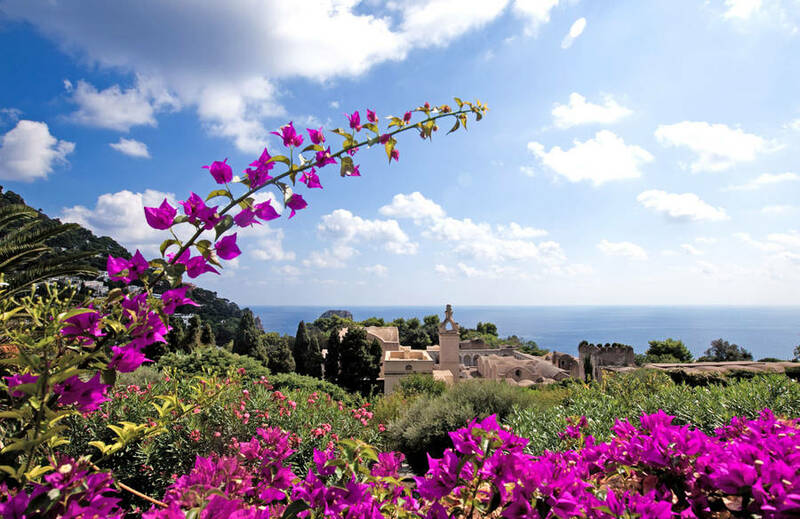 Thank you for a beautiful vacation. " 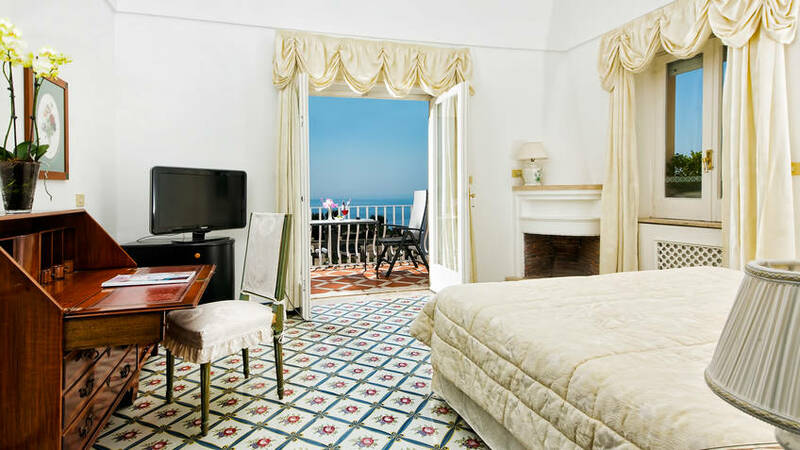 "This is our third time back to Capri and our second back to Flora, it's the most magical hotel, with the most amazing service! 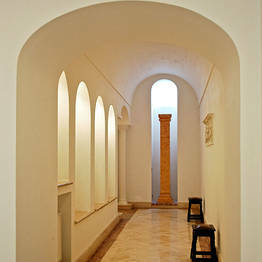 We will go back time and time again! 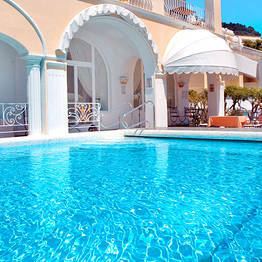 Even our 2 year old son enjoyed it! " 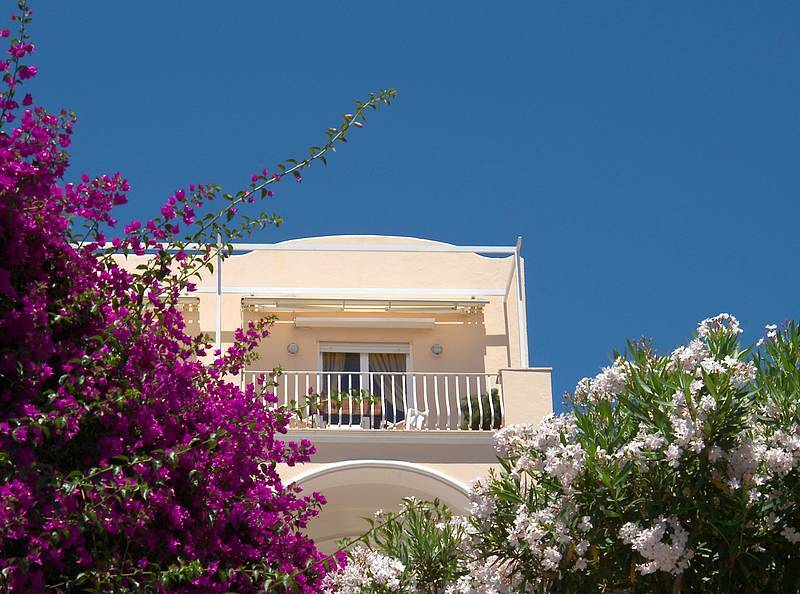 "Wonderful hotel, good position, great pool area and very helpful staff. 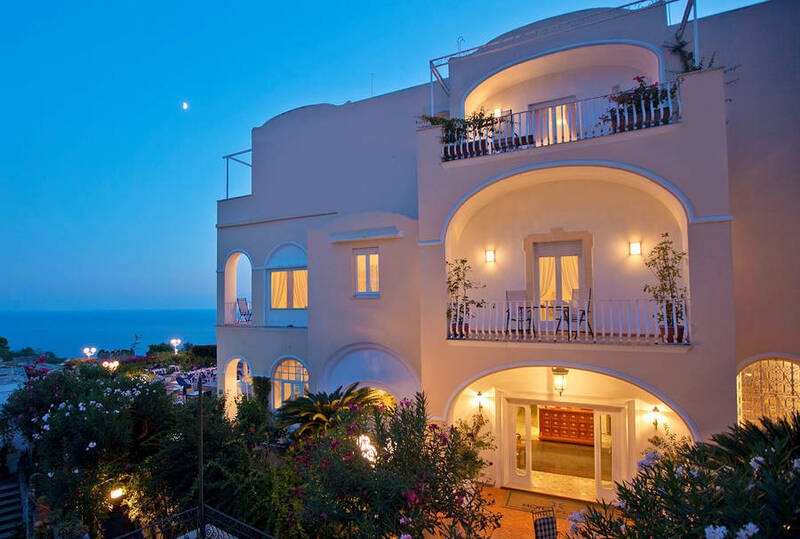 Going back next year ! " 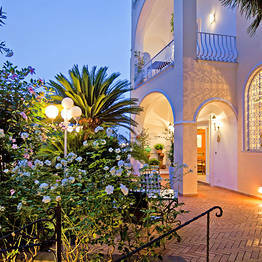 "The staff were friendly and accommodating. 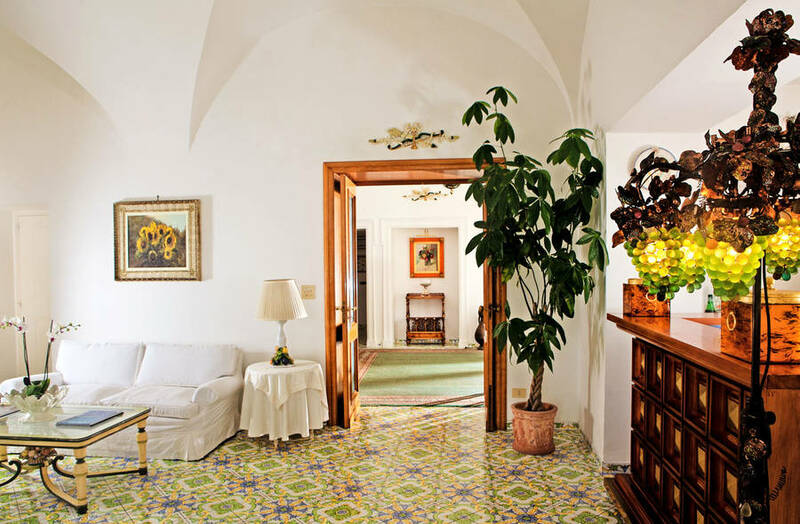 I forgot my pearls in the safe and Antonio went out of his way to get them back to me. 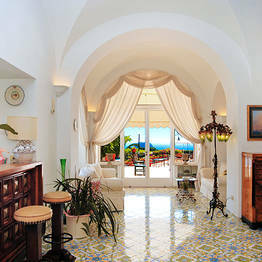 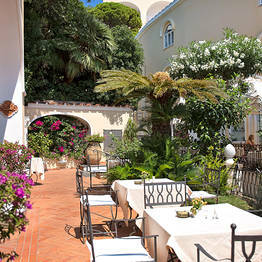 If I am ever back in Capri I will be staying at hotel flora again. " 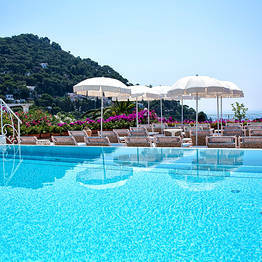 "Great Service, average amenities. 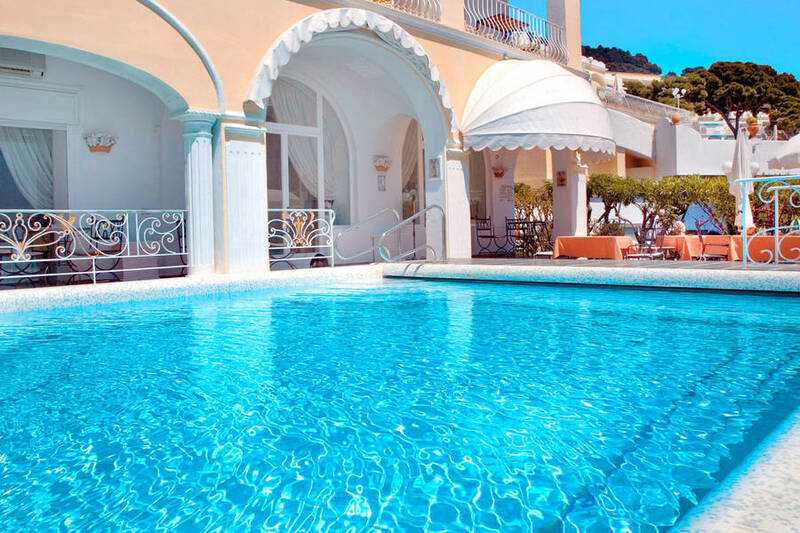 We didn't know we could use the pool at the Quisisana. " 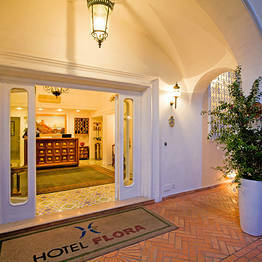 "Loved Hotel Flora, the whole team is very nice and polite, hotel is very clean and service excellent. 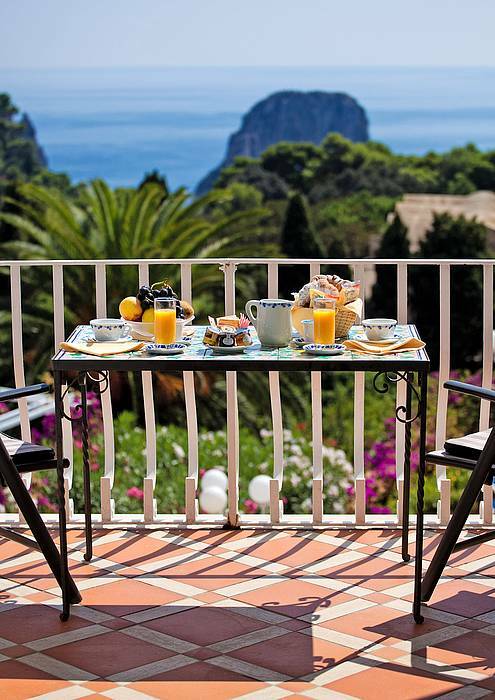 Even if I did not have a room with a view, the terrace view is super. " 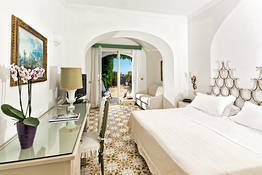 "Staff was wonderful, Bruno and Antonio were very kind and helpful. 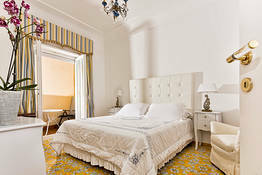 Room decor was "old school elegant" but for the price really needs to be updated/refreshed to be comptetive with today's market. " 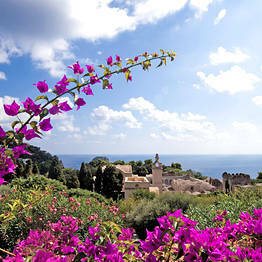 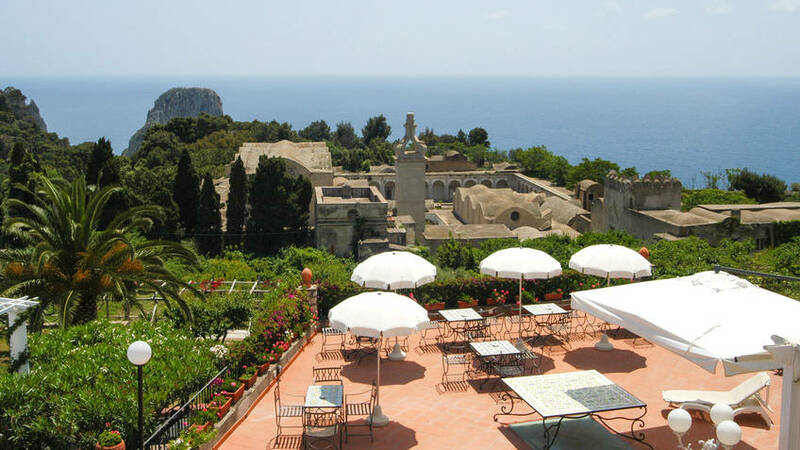 Book Hotel Sina Flora on Capri.com now with no additional booking fees.